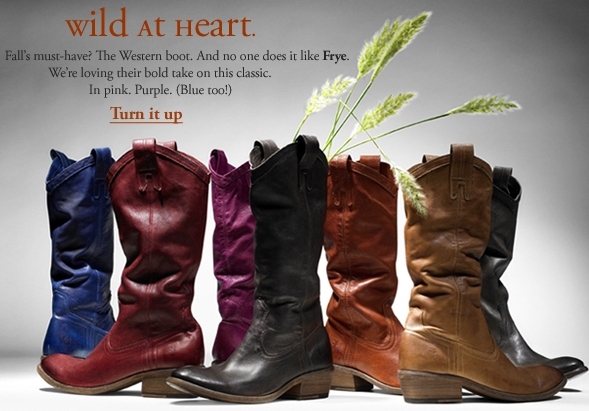 Check out the Carson Pull On from Frye found at Piperlime. This is a pull-on western boot that has topstitch detail and pull tabs. It has a bumped toe and cushioned insoles. You can look at Style # 651252.